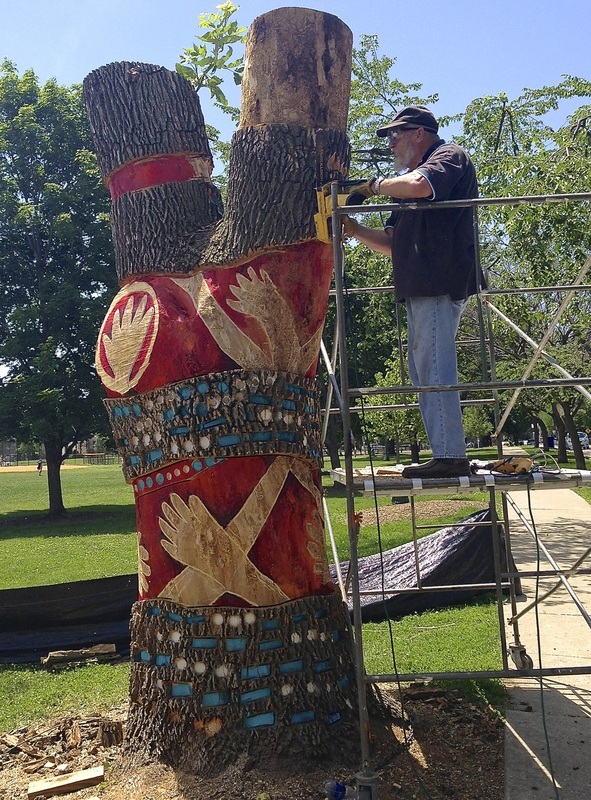 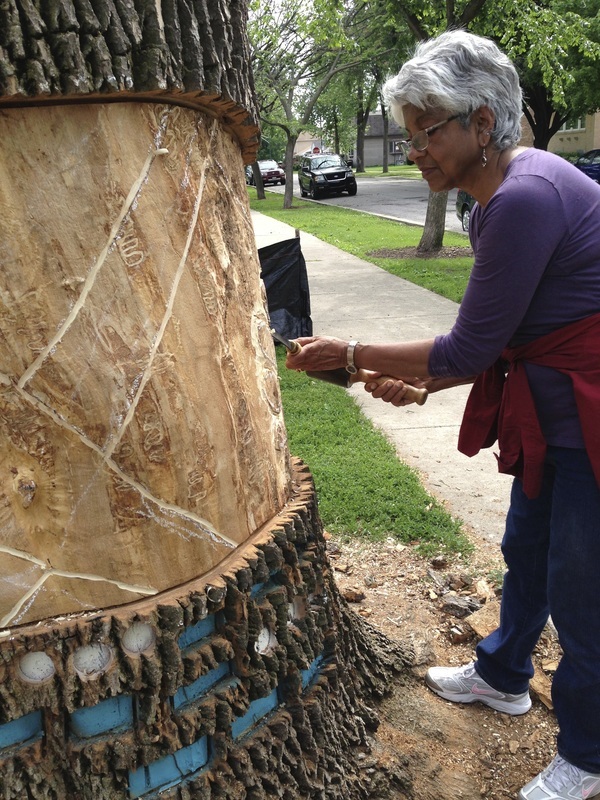 Husband and wife team Karl and Indira Johnson were among ten artists part of the Chicago Tree Project, whose goal was to turn dead or dying trees that are infested with Emerald Ash Borer into living public art. 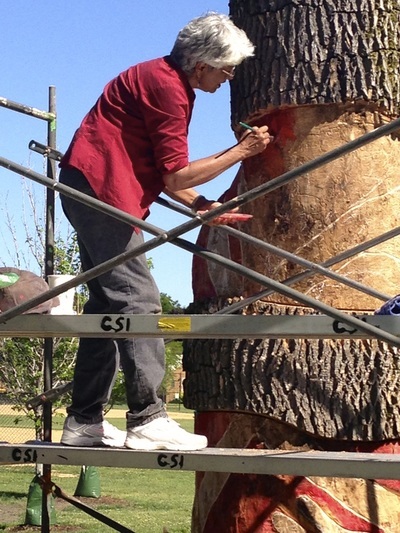 Their sculpture idea, SOS: Questions Not Answered consists of alternating bands of Morse code and overlapping hands layered like sediment around the tree. Carved into the trunk the continuous sequence of three dots, three dashes and three dots broadcast an SOS, signaling both distress and a need for a deeper investigation of how to achieve a balance in our ever-changing world. According to early Eastern philosophy order and harmony was created when human nature was aligned with the rest of nature. 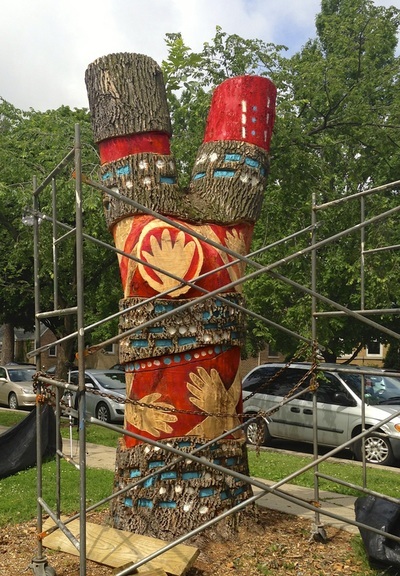 In SOS: Questions Not Answered, hands wrap around the tree in between the Morse code bands reaching for that harmony. 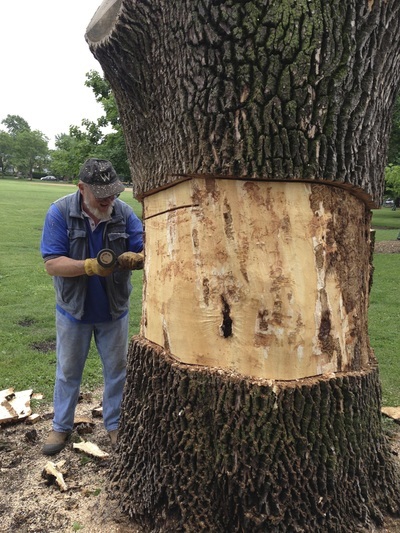 The demise of the ash trees challenges us to think about the linkages between the shrinking global environment and native ecosystems and our connections to each other and every living thing in the universe.